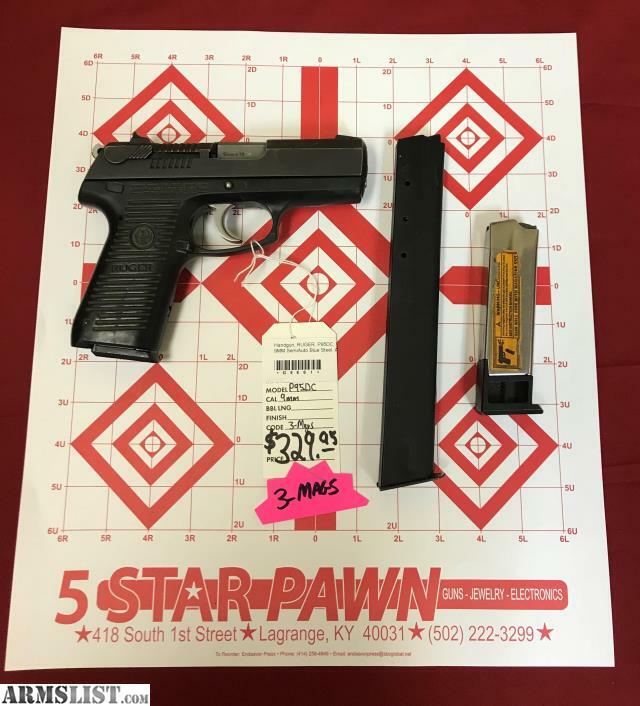 Up for sale this Ruger P95DC 9mm pistol with three magazines. It is priced to move at $329.95. We are a Premium Armslist Vendor with new and used inventory that is always changing. Come visit our Armslist store, check us out on Facebook or just stop into the shop in La Grange, Kentucky.